Accounting senior Sonia Saini received a $1,000 scholarship from Delta Mu Delta. Accounting senior Sonia Saini has received a $1,000 scholarship from Delta Mu Delta. She was inducted into the business honor society in April. 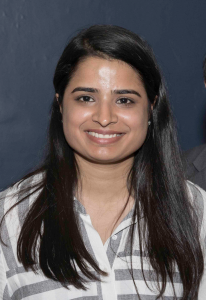 Saini, president of the University’s South Asian Student Association, has worked as an accounting tutor and interned at St. Clair CPA Solutions in the spring. She’s currently an international global mobility and HR intern at Chubb Insurance. She also recently received the $3,000 Howard Matter Scholarship from the Buxmont Chapter of the Pennsylvania Society of Tax & Accounting Professionals.